Hi there, my darlings! 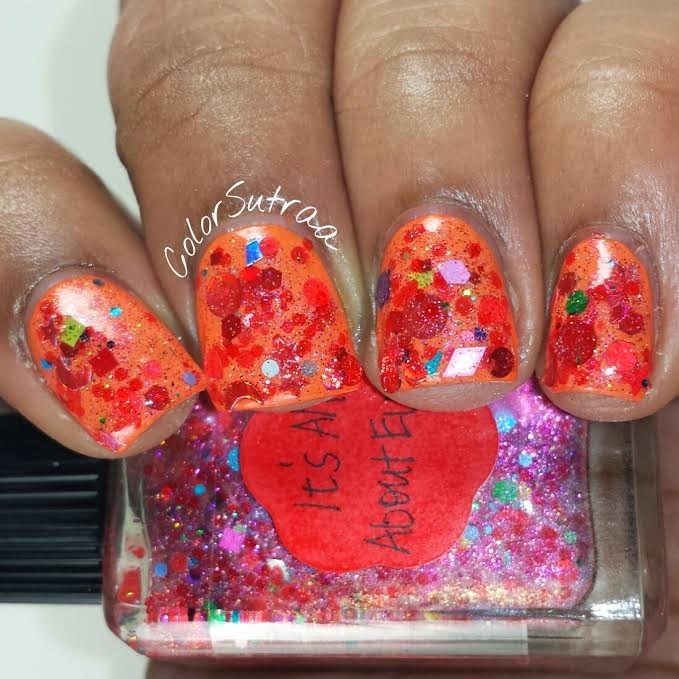 Bright and early this Monday morning, it's time to share the featured Lynnderella polish of the week--It's All About Ewe is a special limited edition addition made especially for the lunar new year and can be procured through an Ebay auction. 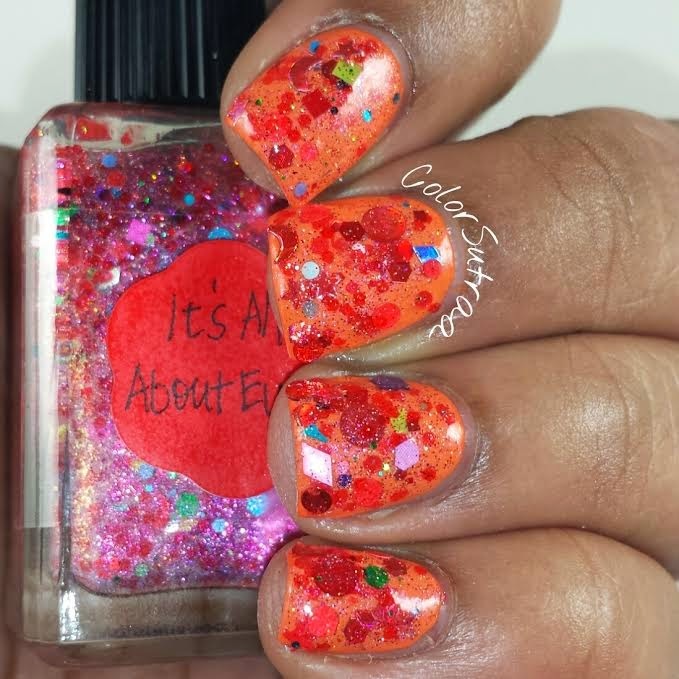 It's All About Ewe "was created in celebration of the lunar new year (sheep, ram, goat) and contains assorted red glitters accented with multiglitters. 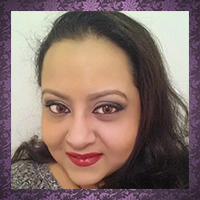 Clear base with warm pink shimmer." No complaints to report with the formula and application--despite being a true glitterbomb, I had no trouble brushing on a myriad of glitter shapes with each easy brushstroke! 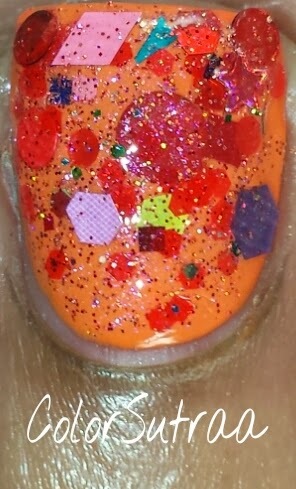 The swatches below show 2 thin coats over 2 coats of Sally Hansen Orange Zest, topped with 2 thin coats of G&G's HK Girl.